How do you prepare for the winter season? 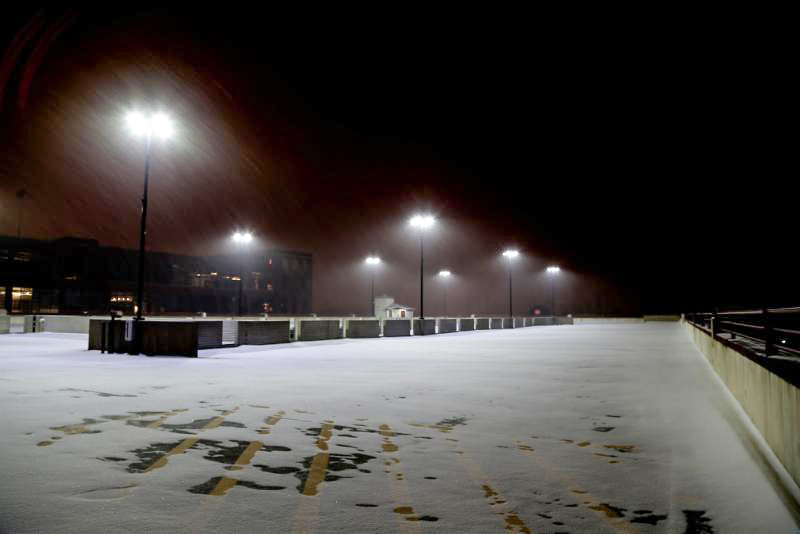 Having your snow removal provider follow these easy steps helps prevent and minimize unnecessary damage to your parking structures during the winter months. 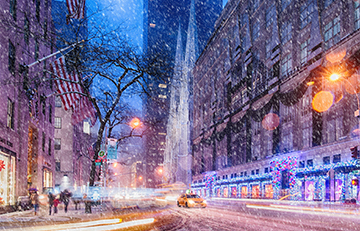 Establish a snow removal pattern so that the plow blade approaches expansion joints, control joints and tee to tee joints at an angle no greater than 75 degrees. Using chemical deicers to control ice and snow buildup is common. These chemicals can have a major negative effect on the concrete and reinforcing steel. These deicers should be used sparingly. There are several different types of deicers on the market that can be used. Only use the ones that are recommended by the American Concrete Institute. Sodium Chloride – (Road Salt, Table Salt) This is the most common used salt deicer, it has little effect on concrete however it promotes corrosion in reinforcing steel and other metals. It is not recommended to use this type of deicer. Calcium Chloride – This is a major ingredient in most commercial deicers, it has little effect on concrete but promotes corrosion in reinforcing steel and other metals. It is not recommended to use this type of deicer. Ammonium nitrate or ammonium sulfate – Use of this deicer will lead to serious concrete deterioration due to direct chemical attack on the reinforcing steel. It is not recommended to use this type of deicer. Calcium Magnesium Acetate (CMA) – Its deicing effects are similar to salt, but it requires more time to melt ice. It has no adverse effects on concrete or steel reinforcement. If a deicer is required, CMA is the recommended type to be used. It is important to minimize the amount of deicing chemical applied during the first two years of the concrete being installed. During this time the concrete has an increased permeability which can allow the deicing chemicals to migrate into the concrete more rapidly. As concrete ages and cures, it will become less permeable and chemicals will not penetrate as easily. It is important to remember that the use of deicing chemicals are not recommended. The following snow & ice treatment measures are recommended in order of decreasing preference. Clean, plow and scrape off ice and snow; do not use deicing agents. Use sand to increase traction; when washing down the deck protect the drainage system. Use a mixture of sand and calcium or sodium chloride but protect the drainage system. Caulking is often overlooked, yet it’s the first line of defense in keeping water out of buildings. While caulking material is expected to last 10 to 20 years, it still needs to be checked and installed or replaced where it’s deteriorated or missing. Key locations are joints between coping stones on top of parapet walls, around mechanical penetrations, and around windows and doors. Check for loose, spalling, or missing masonry/concrete elements such as brick, stone, terra cotta, or mortar. Of particular importance are areas that stay wet, which may lead to cracks, deterioration, and/or other defects that may be allowing water to penetrate. Contact us to schedule an appointment with one of our qualified staff to help with a preventative maintenance plan or to inspect damage. Garage maintenance tips have been taken from ACI’s (American Concrete Institute) guide for structural maintenance of parking structures.